AVD was instructed to review an existing public house in Sileby which had a large rear pub garden and side car park. It was the client’s aspiration to re-develop the land with dwellings and maximise on square footage within the boundary constraints. Our work included the design, Planning submission / Consultation and Landscaping. The site had not been granted planning permission on 2 previous schemes submitted for the site by other consultants. The existing Public House was a key building within the centre of Sileby, which had to be retained. The existing Car park to the East and South of the site was in ownership of the Local Council, which formed access to the parking proposed within the site. On the West side of the site was an existing garden wall not in the ownership of the client. The feasibility of the land was tested with various schemes proposed. Pre-Planning advice was obtained prior to submitting a statutory Planning application. 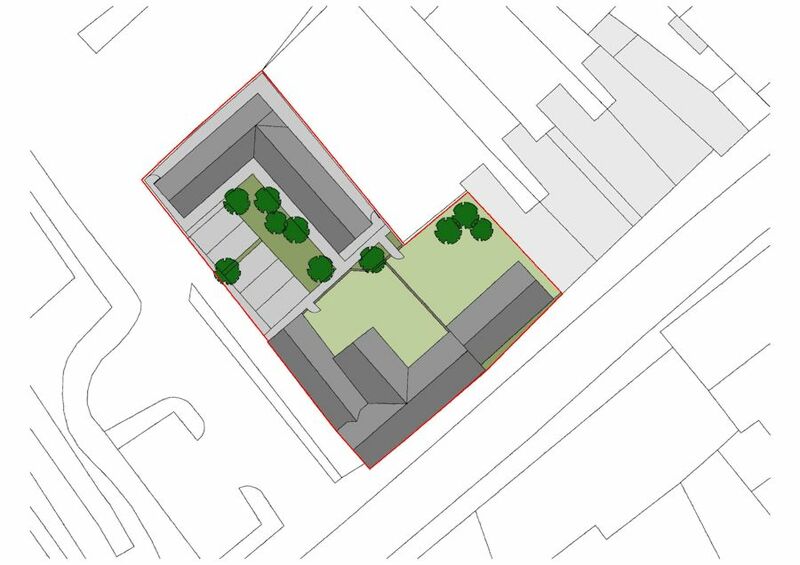 The final proposals involved conversion of the Public House into two dwellings and propose a further 3 dwellings on the site wit associated parking and landscaped areas. AVD were granted planning permission for the scheme and was welcomed as a great improvement to the centre of Sileby and regenerating a run down area.